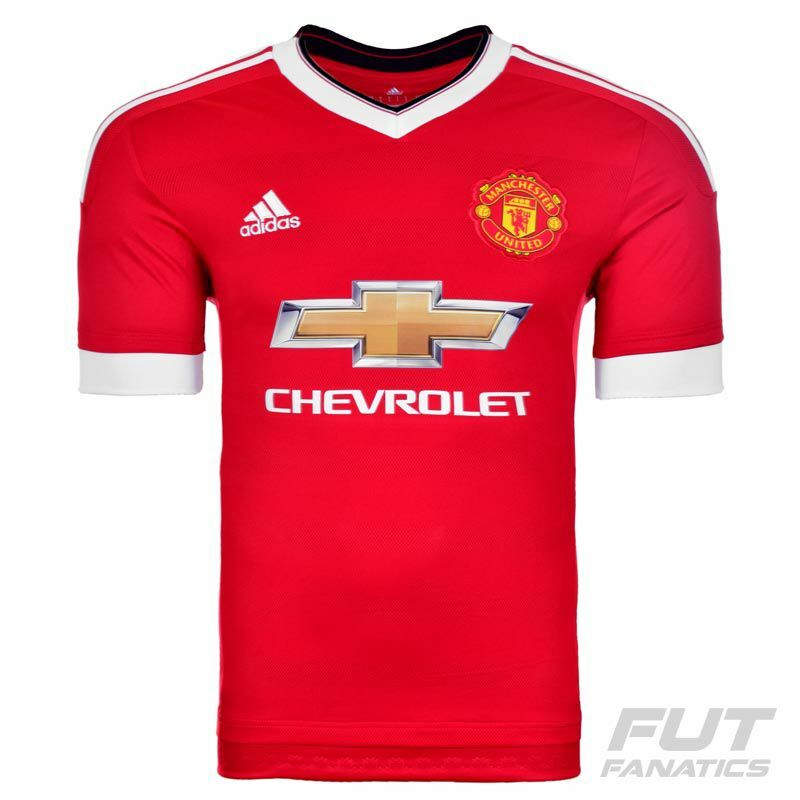 Adidas Manchester United Home 2016 Jersey More info. Fans expect that the Red Devils' players will present themselves on battlefield with the highest level of uniform. The soccer jersey, as technology has gotten better. 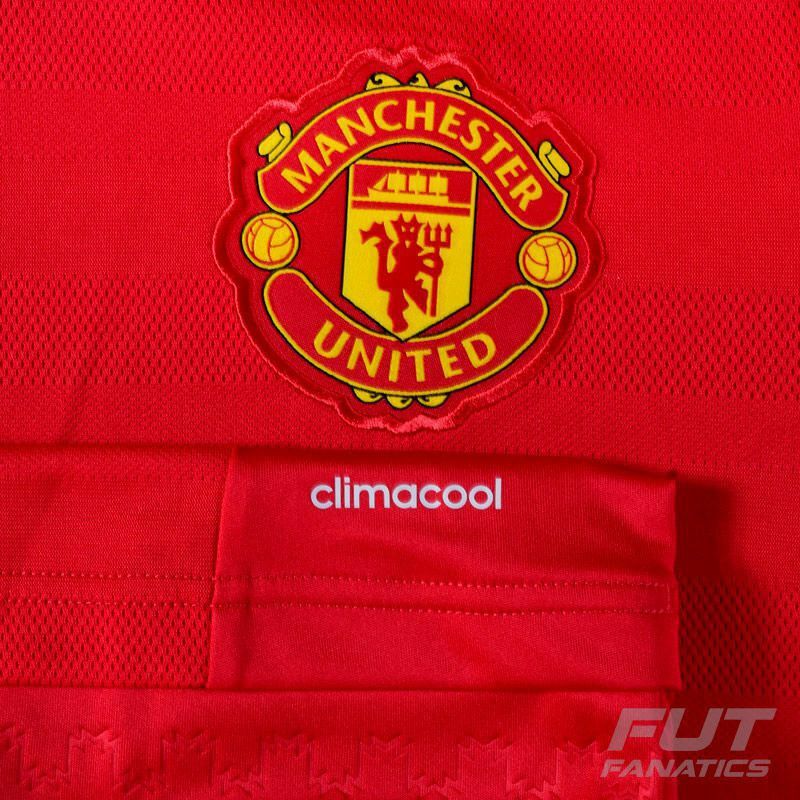 Adidas Manchester United Home 2016 jersey is made of polyester with ClimaCool technology that is in charge of the heat and moisture management, providing comfort and excellent performance on field. 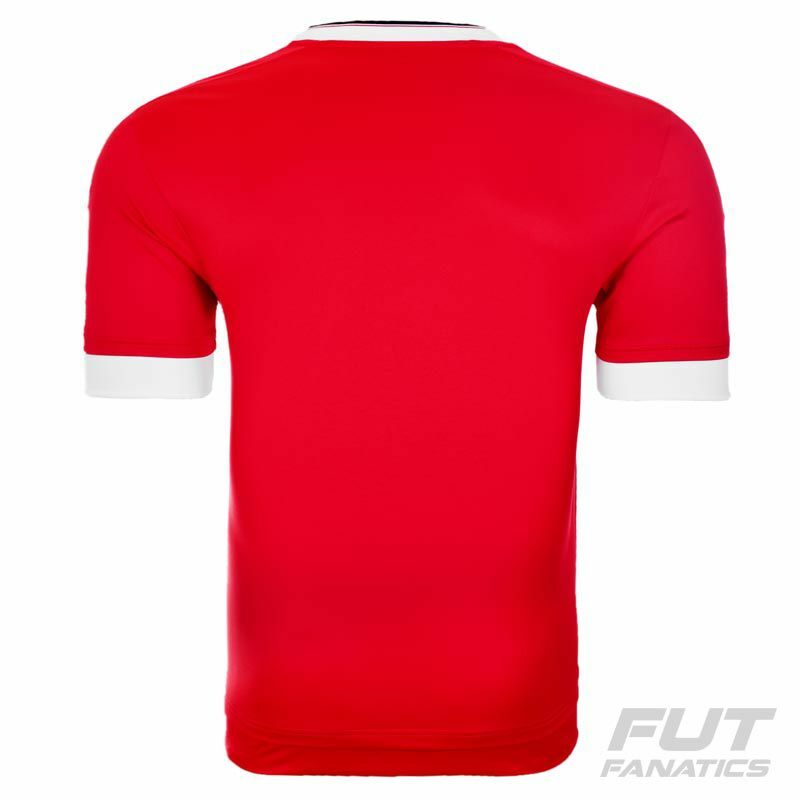 It's predominantly red with white on tip of sleeves, white V-neck and has 3 white Adidas' stripes on shoulders. 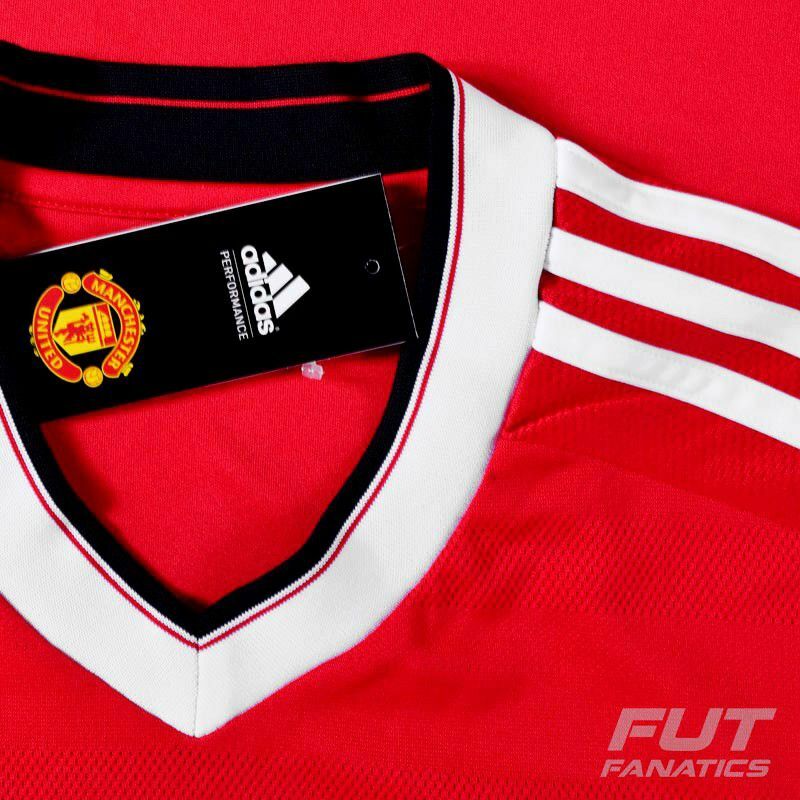 It presents the team badge embroidered at left chest and the Adidas logo on the opposite side. Manchester United Football Club is an english soccer club based in Trafford, the metropolitan area of ​​Manchester. Manchester United became one of world's most popular, successful and valuable football teams. This replica jersey can be customized. Choose your favorite player of Red Devils, remember of scorer in football, Robin Van Persie or our latest creative no.8, Juan. Or then, add your own name and fave number using the authentic font of the club. And yet you can ask us to apply the patch of Champions League or Premier League.